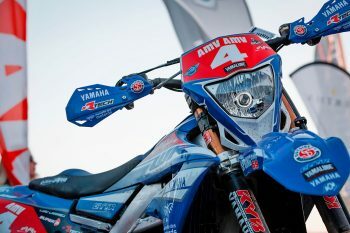 Yamaha Motor Europe yet to confirm 2019 off-road plans. The factory-backed Outsiders Yamaha Official Enduro Team has quit the EnduroGP World Championship, set to take on an alternate path from 2019 that’s yet to be announced. Operating as Yamaha’s factory team for the past three years, the French-based squad has formally confirmed that it will exit the series next year. “We’re very proud that Outsiders Yamaha Official Enduro Team have been our official representatives in enduro racing since 2016 and excited to soon see them move on to a completely new project,” explained Alexandre Kowalski, Yamaha Motor Europe enduro and rally racing manager. 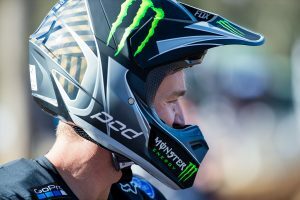 “For the last three years, team riders have helped Yamaha be a key player in the Enduro World Championship and the prestigious ISDE. We are grateful to them for all their efforts. Loic Larrieu and Jamie McCanney have finished as world championship runners-up in their respective classes no less than five times. We are happy to confirm that Jamie will remain with the Yamaha family. In 2016 and 2018 Larrieu was runner-up in the Enduro2 World Championship, also finishing second within the EnduroGP category in 2017. 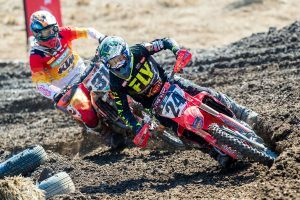 In addition, Larrieu claimed the outright victory at the International Six Days Enduro (ISDE) last year. McCanney took second in Enduro2 during 2017 and also P2 this year while contesting Enduro1. KTM and Husqvarna ended their involvement in EnduroGP at the conclusion of last season, instead turning their off-road attention to the brand new World Enduro Super Series (WESS) that offers a mixture of enduro and extreme-type events on the calendar.